Showing 41 to 45 of 45 posts. 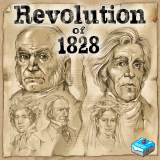 In the two-player game Revolution of 1828, you are trying to become the next President of the United States! 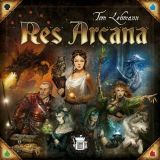 To reach this lofty goal, each player tries to take the election tiles that suit you best and hinder your opponent's campaign. Election tiles allow you to garner the allegiance of electors and use the power of smear campaigns to skew the populace in your favor. If you also use the powerful campaign actions to your advantage and have the press look the other way, nothing should stand in your way! The drug war is in full swing in Colombia, and the man who controls the biggest operation is known as the Patrón. His enemies are numerous, and they’ll stop at nothing to bring his empire to its knees. He will have to avoid his would-be captors, as he moves from one Location to the next, using his many properties as hideouts in a high stakes game of cat and mouse. 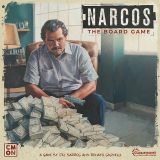 In Narcos: The Board Game, based on the Netflix original show, one player takes on the role of the Patrón, while the others become the Factions forming a tense alliance in their search for the cartel kingpin. Unfortunately for the Patrón, his Sicarios leave behind clues to his Location, allowing the Factions to close the net. Are the Patrón’s days numbered, or will he find a way to escape his pursuers?